The Powerline+ Lightning cable is 6 feet long and features a nylon-braided exterior and kevlar-reinforced wiring, while both the PowerPort Speed and PowerCore Speed include Quick Charge 3.0 support for compatible devices. Just note that these prices are only available today, and they will likely sell out early. If your home or apartment allows it, there’s simply no reason not to wall-mount your TV when AmazonBasics turns out mounts for this cheap. The $17 model can support TVs up to 80 inches and tilt up and down, but I’d recommend spending $5 more for the version with full articulation, if your TV is 55 inches or less. When it comes to getting a good night’s sleep, it really starts with the pillow. You’ve probably had yours way too long and it’s time to replace that sucker. Amazon’s Gold Box is (down alternative) filled with two- and four-pack pillow sets for great prices. But don’t sleep on this deal, because it’s gone at the end of the day. Like the idea of a Belkin WeMo Switch, but want something that won’t cover your other outlet? 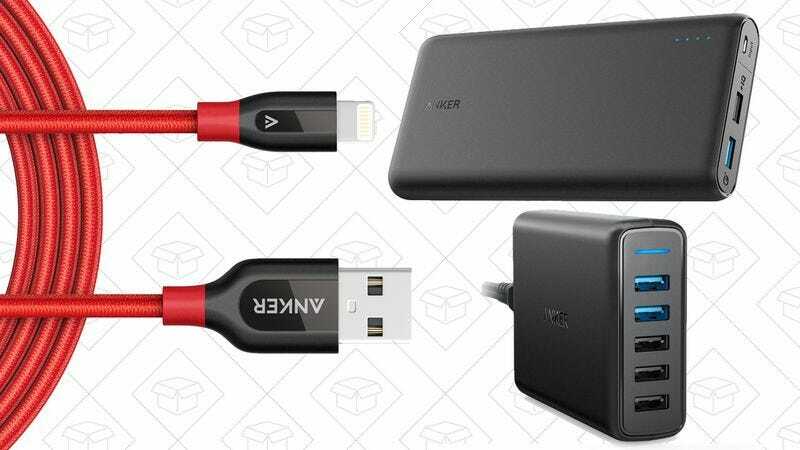 This TP-Link Smart Plug Mini is your answer, and it’s down to its best price ever after you clip the $5 coupon.